MEXICO CITY (AP) — Mexico's President-elect Andres Manuel Lopez Obrador has reached out to the country's business elite, announcing the formation of a business advisory council including big names, especially in media. Lopez Obrador said in a pre-recorded video circulated Thursday that he would meet with the council every couple months. 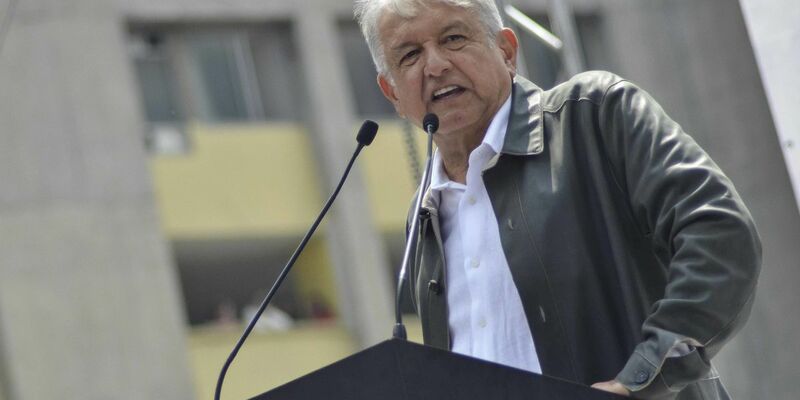 Lopez Obrador, who takes office Dec. 1, says Mexico needs the private sector's support to generate jobs and grow the economy. The leftist politician quickly moved to meet with business leaders to calm markets after his victory in July. Last month, Lopez Obrador roiled markets again by announcing the cancellation of the capital's $13 billion airport project. Ricardo Salinas Pliego, the founder of Grupo Salinas, which owns TV Azteca network, and Bernardo Gomez, the co-CEO of Televisa network, are among the council's members.